After years of playing as a man in a bat-themed armor brutally beating thugs, this week we finally get to play that same man pretending to be a normal, everyday billionaire. Is Bruce Wayne Batman, or is Batman Bruce Wayne? It’s a question that’s been asked several dozen times in the comic books, but so far games have stuck the the punching and the kicking. 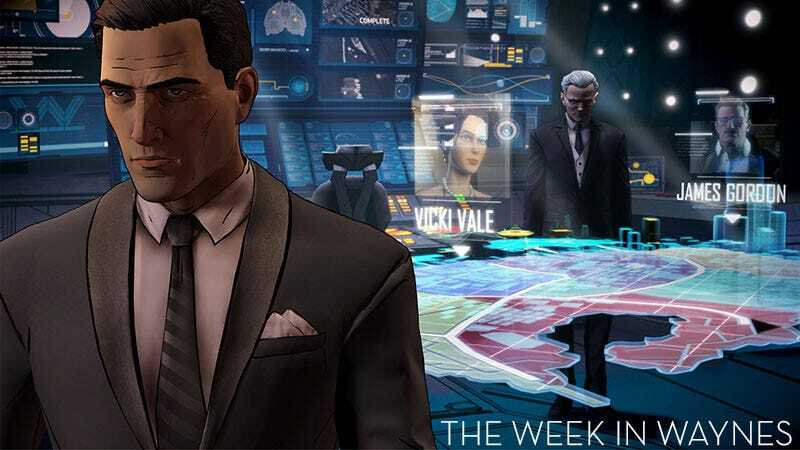 Telltale’s episodic adventure take on Batman should be quite refreshing. It’ll probably have a narrative and everything. Can’t wait! Not a lot happening this week, what with school kicking in soon for much of the country, but what little is happening looks quite nice.